Abu Dhabi, United Arab Emirates: Cricket’s popularity is striking in the Gulf Cooperation Council (GCC), a demography that has historically been inclined towards football. 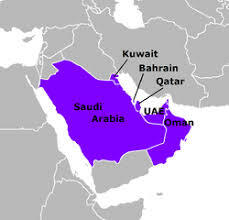 Gulf Cooperation Council (GCC) is the political and economic alliance of six Middle Eastern countries, namely Saudi Arabia, Kuwait, the United Arab Emirates, Qatar, Bahrain, and Oman. According to a pan-GCC YouGov survey commissioned by UAE Exchange, more than half (51%) of the people participating in survey from GCC are cricket fans. To understand where cricket stands in terms of popularity, the sport was compared with other popular sports such as Football, Tennis, Formula 1 and Basketball. Cricket enjoys a massive fan following in the GCC countries. As per the survey, 57% people in the UAE, 38% people in Bahrain, 37% in Oman and 45% people in Kuwait are fans of the sport. “The survey reflects the growing popularity of cricket in the REGION, with more than half of the respondents turning out to be fans of the game. It’s really interesting to see that 32% of cricket fans in the region chose cricket as their preferred sport, a very close second to football, which garnered 34% of the votes. This reflects the cultural diversity in the GCC countries which is promoting the exchange of values, especially those of sports,” Rahul continued. When asked which cricketer will emerge as the top player in the Unimoni Asia Cup, 18% of respondents across GCC voted for India’s batsman Rohit Sharma, while 15% voted for Pakistan’s bowler Hasan Ali. The first Asia Cup was hosted in Sharjah in 1984. The sport has since then seen significant increase in followership, resulting in increased investment in cricket facilities across GCC. The UAE is home to three state-of-the-art stadiums in Dubai, Sharjah and Abu Dhabi. “As a brand that facilitates seamless money movement across geographies, we are proud to be part of Asia Cup, sharing the excitement of cricket with fans in the region and around the world,” Rahul concluded.